He tried to put the jinx on us, but it didn’t work. Is it a sweep?? Are you looking for a sweep?? That’s where you win all the games in a series, right? A sweep? That’s what they call it? Yeah, I think it’s a sweep. 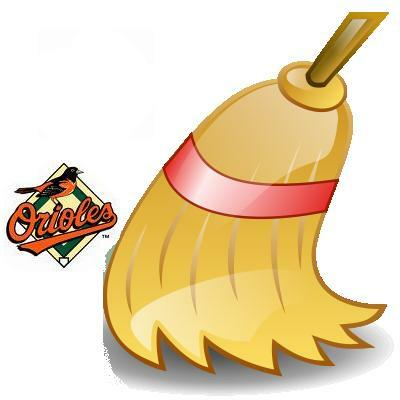 Yes, it was a sweep. The Red Sox won a nail-biter of a game against the Orioles, 12-1, to sweep the series. It was a close one, but the boys from Boston overtook the orange birds in a exhibition of their (thankfully) returned slugging power. The game was early in the day, 11 AM, and it was Patriot’s Day, so there was a lot of pride on the table. Masterson was masterful (to steal the line from pretty much any broadcaster that called a game in which he pitched well) and the Boston bats woke up from their wintry slumber. In the seventh, the Sox batted around the lineup, with Jason Bay getting on base twice, Mike Lowell getting a RBI in two separate at bats, and Jason Varitek making two of the three outs of their half inning. But he also got a home run, so I’m actually not really complaining. It’s just a humorous little fact. The Buccos play the Marlins tonight at 7PM in the classic Battle at Sea (get it? the two teams are ocean-themed), so tune in to that debacle of a game in which the Pirates drop below .500, never to see a winning record for the rest of the year. Sorry, Pittsburgh fans, it’s inevitable. You are currently browsing the archives for the sweep category.